So you thought playing Piano on iPhone was fun? Wait till you try Echo Piano on iPad. It’s a super Piano application that lets you play this instrument to your heart’s desire and even record your music to share with others. Your tablet’s large screen gives you a lot of room to play with this app’s keys. 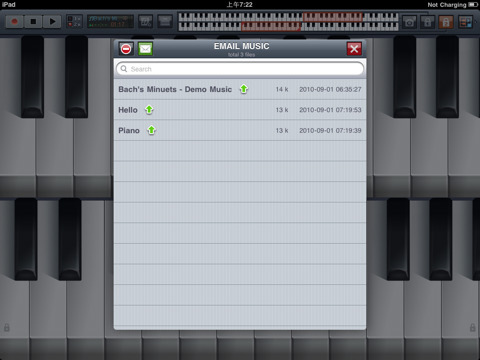 It has a pretty fun layout and very useful tool to have for music pros or those interested in learning Piano. I was impressed with Echo Piano’s interface. It’s not only very attractive but also flexible. 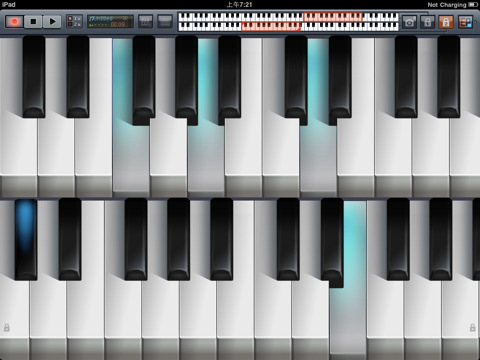 Reaching the keys you need to touch to complete your music is not that hard. Just slide to get to the right position. Changing octaves is easy too (just takes a tap). Being able to record my music is pretty gratifying. Even if you are not a pro, it still helps to listen to your work and see what you can/should do better. You can email your music to others (great way to impress others with your talent). Echo Piano is not the cheapest Piano app around but it’s one of the most impressive ones we have tested. It should take you only a few seconds to realize the quality of this app. Echo Piano has a very attractive look & feel and lets you play, practice, and share your work with the world.